First things first: If you haven’t read parts one and two in this series, go ahead and read them (here and here). 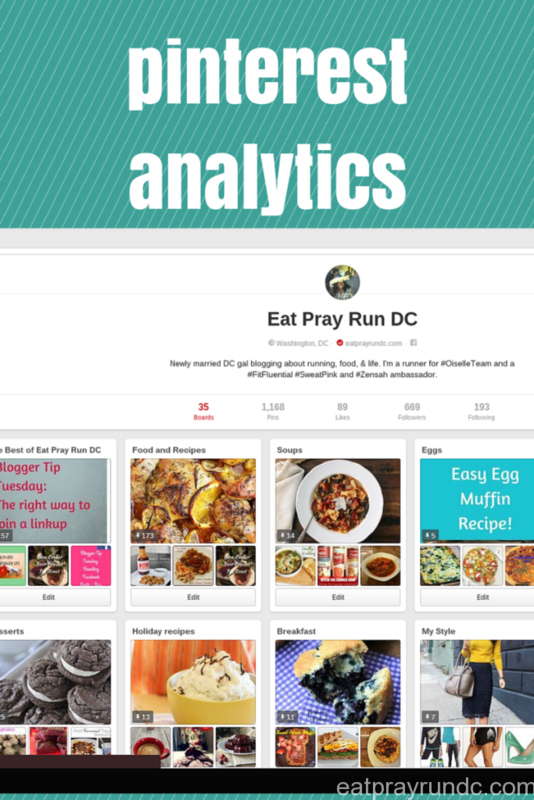 Today we’re looking at Pinterest Analytics that come directly from your blog. You’ll find the data we’re going to go over today, under the “Activity from [your blog name” tab. There are some fun things you’ll find under this tab. Remember, that everything under this tab is related to pins from your blog. So if you are looking to find out what pins result in traffic to your blog, what pins from your blog are clicked most frequently, and your most shared pins of all time, you will find this helpful and interesting. I found this data really helpful in seeing what is working and what is not working in terms of pins originated from my blog. Some of this is a bit repetitive and you’ll probably see some of the same pins from the other two tabs in the analytics area. However, there was one thing I wanted to highlight for you all. What you are seeing in the picture above is a list of what Pinterest calls “power pins” – pins from your blog that have generally done well. When I first explored this list, I just quickly went through and repinned (to different boards – mostly group boards) a few pins from this list. It also made me think that I should do a monthly challenge (like the abs challenge or the plank and squat challenge) – I actually have a month long challenge in the works for April, so stay tuned! Check out your audience. Who are they? What are they interested in? Get to know the people who are viewing your pins and are repinning them. Look at the boards where your pins are doing well and keep pinning there. If it ain’t broke, don’t fix it, right? Repin a few of your power pins. These are pins that are already doing well – which means they should continue to do well and you should continue to promote them. Ok, finally got this up and running, now to play around with it! awesome! did you use the plugin to verify? I find analytics to be interesting ( in all aspects), but I rarely do anything with them or use them to my benefit because honestly, I wouldn’t know what to do! sometimes just the knowledge is good to have! This is crazy, Courtney! I had no idea all of this stuff was in there – ha! 😉 Thanks for sharing this info! thanks tara for stopping by – hope you are having a great night! I love your analytics! I keep saving all your tips and hope to increase my views with all your tips. Daisy, that is awesome to hear! I don’t delve into my analytics enough at all! I am enjoying your tutorials thanks! Just went and checked out my power pins for the first time. Thanks for the tip. Mine are all recipes, guess I should post more of those.